The Citizens will play the first leg away from home this Thursday at the Lyngby Stadion before playing the second leg at Nantporth a week later. As Bangor City make their way to Scandanavia for their first-leg of their Europa League tie, here are the players who could cause the Citizens problems this Thursday evening. Last season, Lyngby scored 42.86% of their goals in the league during the opening half an hour of games, so if Bangor can get through that spell then they will have a fighting chance. The Vikings aren’t really a side that will blow a side away but they do their job well in playing consolidating footbal. Their biggest home win last-season was in fact a 2-0 home victory over SonderjyskE, so if Bangor can keep the Danish side at bay, then they can carry out their game plan. As mentioned previously, Jeppe Kjaer is Lyngby’s main source of goals and the Bangor City back-line will need to do all that they can to ensure that he isn’t given any time or space to get a shot away as he has hurt many Danish defences in the past with his goals last season. The 31 year-old scored 11 times last season, finishing 9th in the goal-scoring charts for the Danish Superliga last season. This central-midfielder has been at Lyngby for three years now and last season he made the second most appearances for the club, only second to goalkeeper Jesper Hansen who has since transferred to Danish rivals Midtyjlland. Out of those 34 appearances he started 33, showing his ability at his age to see out games. He also registered four goals for the club last season, although his disciplinary problems might be an issue, as he picked up the joint most yellow cards. Born on Christmas Day, this Norweigan attacker could cause problems down the flanks over the two-legs. He looks set to be a certain starter for the fixture, having started 31 games out of the 34 appearances he made last season. He scored 4 goals last season for David Nielsen’s men, which put him as the clubs second highest-goal scorer last season. Jensen had a brief spell with Charlton Athletic but didn’t make a competitive appearance during his short-time spent in England. 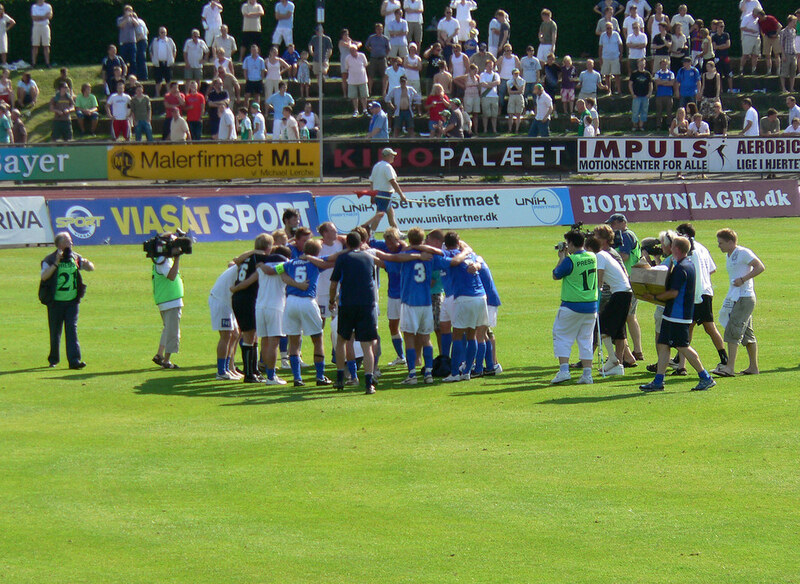 Lyngby fans will hold Rygaard-Jensen in high regard, after scoring one of the three goals that against Midtyjlland in the game that secured the club would be playing Europa League football this season.